Precision craftsmanship at your service. Glass is a versatile design element that brilliantly serves many functions, from windows, glass doors and railings, to shower doors, mirrors and glass shelving. Often, glass needs to be precisely cut and finished to meet non-standard sizes, creative design specifications and custom applications. That's where our glass fabrication shop excels. We provide custom glass fabrication services for a variety of clients, including general contractors, designers, property managers, homeowners and do-it-yourself hobbyists. 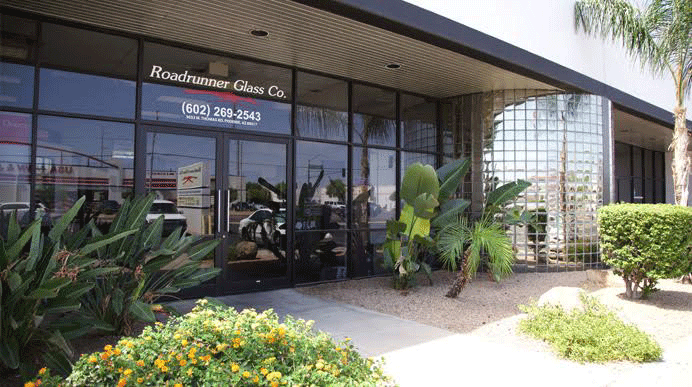 All glass work is performed at our local shop in Phoenix, Arizona by expert glaziers who offer over 40 years of industry experience along with a unique attention to detail and dedication to precision craftsmanship. Have an idea for your project? To speak with an expert, call 602-269-2543, or stop by our local Phoenix showroom for a look at our extensive selection of glass solutions.